We design, develop and manufacture a large range of premier hot melt adhesive products. Industry leading hot melt adhesive applicators and accessories. Premium hot and low melt adhesives suitable for a range of applications and industries. 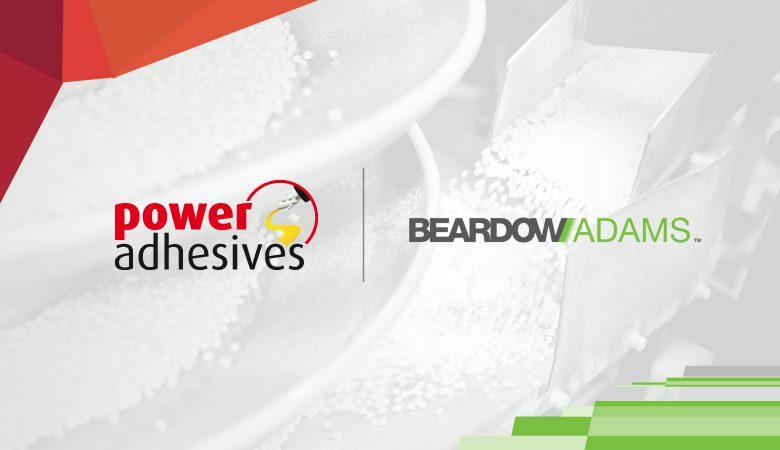 Premier bulk adhesives from Beardow Adams, suitable for a range of applications and industries. As market leaders we have researched, developed, manufactured and distributed a large range of high quality and competitively priced glue guns and shaped adhesives around the world. This has placed us in a unique position, able to offer industry-specialist knowledge on all aspects of commercial gluing operations using hot melt adhesives. Sold under the ‘TEC’ brand, our glue guns set the standard in hot melt applicators. Whether you are looking for a craft glue gun, something more industrial or anything in between, the TEC range of glue guns covers a vast array of applications. Glue from Power Adhesives is sold under the ‘TECBOND’ brand and continues to raise the bar within the hot melt glue industry. A continuous programme of research and development at our modern UK production facility ensures we are able to meet the ever changing needs of the hot melt industry.